You don’t have to work crazy hours to make good money. Try working part-time at these jobs, and you’ll be amazed at how much money you can make. The phrase “high-paying part-time jobs” may sound like a bit of an oxymoron, but believe it or not, the two go together better than you think. You don’t have to work crazy hours to make good money. Try working part-time at these jobs, and you’ll be amazed at how much money you can make. The phrase “high-paying part-time jobs” may sound like a bit of an oxymoron, but believe it or not, the two go together better than you think. Sort of like peanut butter and Oreos, except we’re talking jobs with low hours (20 hours a week or less) and high pay (as much as $50,000, but no less than $20,000 a year). Taxi drivers transport customers, taking them from airports, train stations, and hotels. Tips from pleased passengers can also boost a taxi driver’s wages. Taxi drivers earn at least $15 an hour. Did we mention that Canadians can tip up to 20%? 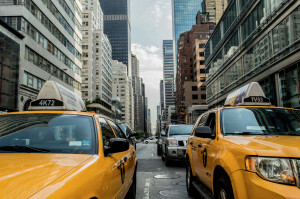 Generally, taxi drivers use a meter to determine fares and may pick up passengers who have requested a cab through the central dispatch, or who are waiting for a ride at airports, train stations, and hotels. In big cities, cab drivers frequently pick up passengers who hail them on the street. And these days, passengers may even “e-hail” cabs using smartphone apps. If you’re a taxi driver, you never know who might get into the back of your cab, it could be a family with kids, a political figure or even a circus clown. The innovation of ride-hailing services that use smartphone apps should increase job growth, as well as the introduction of ride-hailing services to more cities across the country. So grab out your phone and get busy when you work in Canada as a taxi driver! A retail salesperson sells products, from clothing to cars, straight to the consumer. 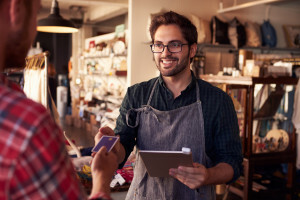 Working as a retail salesperson means having a great deal of flexibility in your life, thanks to the ability to work summers or part-time as a student. Other appealing aspects include working with people and not having to be tied to a desk for those who prefer to move around while they work. It’s a good way to begin your life in the business world because you learn skills that can be used in many other career paths you may choose in the future. Many people begin working in retail part-time during high school and continue to work in the field until they graduate, and maybe even longer. Retail is where many young people learn accountability, how to show up on time, and how to follow through on tasks. Retail salespeople earn a basic hourly wage of $11. For international students who study in Canada, this can be an opportunity to earn extra pocket money, and get Canadian work experience that could help them become permanent residents of Canada in the future! Nail technicians provide nail services to customers at salons, spas and barber shops, while some technicians operate their own business. 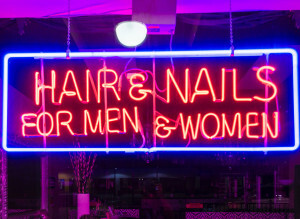 Nail techs clean, file, trim, polish and repair fingernails and toenails. They discuss treatments with clients, such as applying artificial nails or moisturizing hands and feet and sell additional services and products. Nail techs earn an hourly wage of $10. To encourage repeat customer visits, manicurists and pedicurists must also have excellent customer service skills and listen to the client’s needs – including personal problems and juicy gossip so being a “people person” is really important. As a foreign national, Canada offers plenty of work opportunities in the beauty market. So if you love the world of cosmetics and being around other people, then maybe a Nail Technician could be the perfect work in Canada for you! Bartenders don’t just follow a recipe; they understand how the bases, bitters, liqueurs, and syrups mingle and can create their own unique and tasty cocktails. 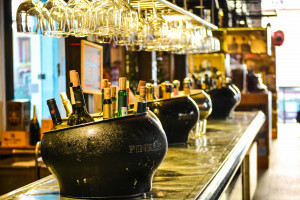 In recent years, quality bars and experienced bartenders have been swept into the cachet of our foodie culture, and those who are in the know think about more than just liquor when selecting a new or frequenting a favorite dive bar, cocktail lounge, wine bar or beer pub. Just like the best dining hot spots are known for the chefs in the kitchen, the best bars earn their street cred by the barkeeps pouring the spirits. The Bureau of Labor Statistics reports that job prospects for bartenders will grow 2 percent by 2026, which will result in 15,100 new jobs in Canada. Competition for positions will be strongest in popular fine-dining establishments. For this reason, working in Canada cannot only be a dream but a reality for many people. So if you think you know how to sling the liquor, then why not try part-time as a bartender and earn some extra cash at the same time? Waitrons are often the face of a dining establishment. Basic duties include greeting customers, taking orders, delivering orders, processing payments and refreshing food stations to begin the cycle all over again, but there’s more finesse and skill involved in waiting than you would think. Servers are also knowledgeable enough about food and drink to answer questions about the menu and make recommendations to customers. 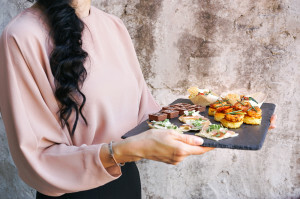 They are also patient enough to help with customer concerns and complaints and coordinated enough to balance heavy trays topped with plates of food through a crowded restaurant without dropping their orders. The people who do this best could find themselves working in the trendiest establishments and earning excessive tips because Canadians know how to tip well with a healthy 20% tip if they liked your service. Foodie culture persists, particularly in Canada’s largest cities, and new restaurants crop up constantly, so there always a chance for employment growth for waitstaff. The necessity for food service professionals like servers, cooks, and bartenders has just increased in Canada over the years. Waiters and waitresses earn a basic hourly wage of $9.25, although this varies from province to province in Canada. While part-time jobs are often thought of as stressful, low-paying work, these are some of the positions that can at least let you make a living and have some fun along the way.